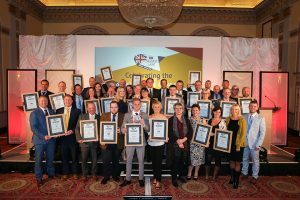 Sophie Grigson is the 2018 UK Sausage Week ambassador. 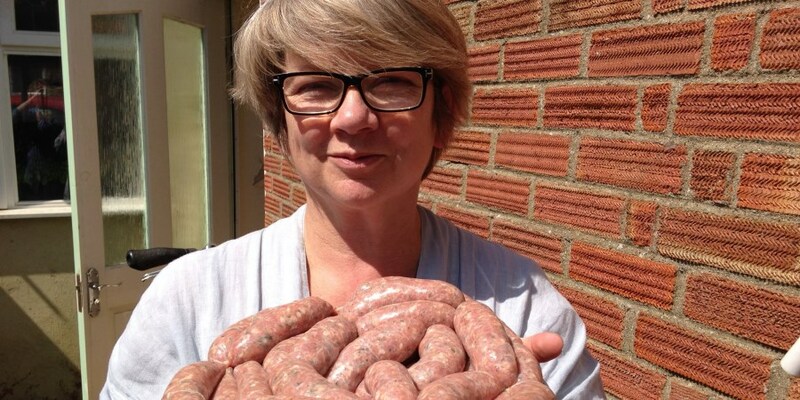 This year’s UK Sausage Week ambassador has been unveiled as the celebrity chef, author, broadcaster and cookery school owner Sophie Grigson. 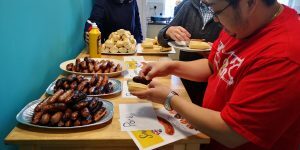 UK Sausage week makes a welcome return on Monday 29th October and runs until 4th November 2018, promoting all things sausage to help boost the trade over the all-important autumn season. 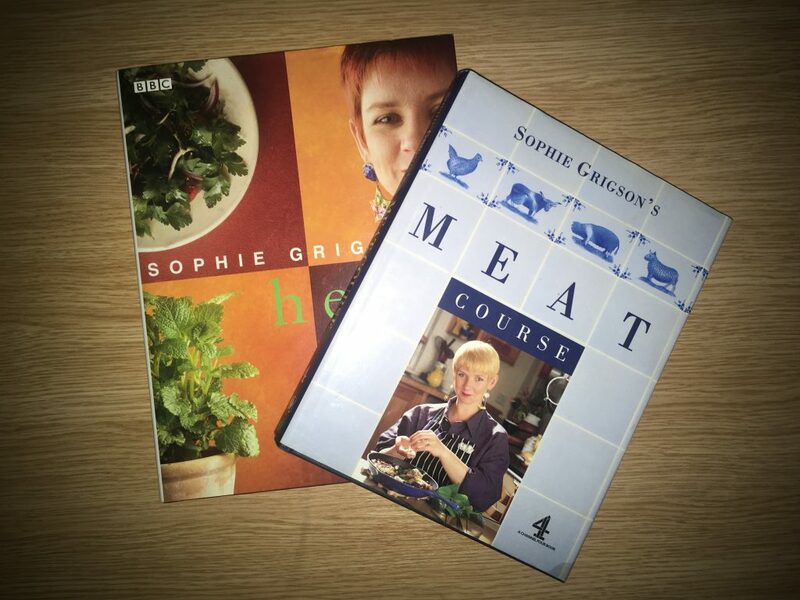 Sophie’s television debut first came in 1993 with the 16-part series Grow Your Greens, Eat Your Greens on Channel 4, which won her the Caroline Walker Prize in the Media category. This lead on to other radio and television work including Sophie Grigson in the Orient and Sophie Grigson in the Souk for the Travel Channel. She won the Guild of Food Writers Cookery Journalist of the Year Award in 2001 for her work in Country Living magazine. She is also a keen supporter of organic and local food suppliers and is an advocate for decent children’s food. Sophie is a patron of the Children’s food festival and also heads up food and wine tours in association with a specialist tour operator. She lives in Oxford, where she runs Sophie’s Cookery School, and has written many best-selling cookery books including; Sophie Grigson’s Meat Course, My Kitchen Table, The Soup Book, The First Time Cook, Food For Friends and Sophie’s Table, plus many others. Sophie has written multiple cookbooks. Having inherited a love of food from her mother Jane Grigson, herself a notable chef, she found she also enjoyed writing about it. Her first food article, published in the Sunday Express Magazine, was entitled ‘Fifty ways with potatoes’. She has since written regular columns for publications including the Evening Standard, the Sunday Times and The Independent. 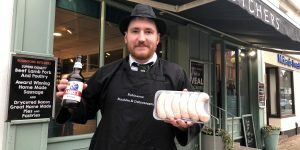 To enter sausages and for category information visit www.uksausageweek.com/product-entry. 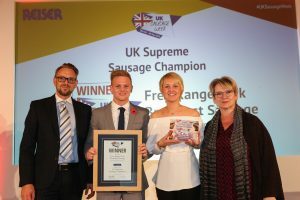 To buy tickets for the celebration lunch on 29th October go to www.uksausageweek.com/awards-tickets. 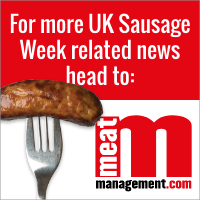 Some UK Sausage Week partnership packages are also still available. Contact Michelle Ingerfield to find out more on 01908 613323, or by emailing michelle.i@yandellmedia.com.